At the beginning of your upkeep reveal the top card of your library. If its a land card put it into your graveyard and repeat this process. 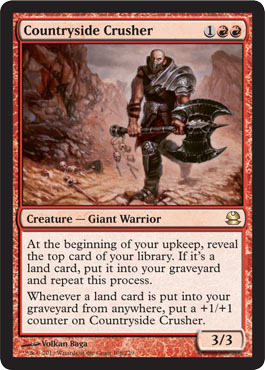 br Whenever a land card is put into your graveyard from anywhere put a 11 counter on Countryside Crusher.